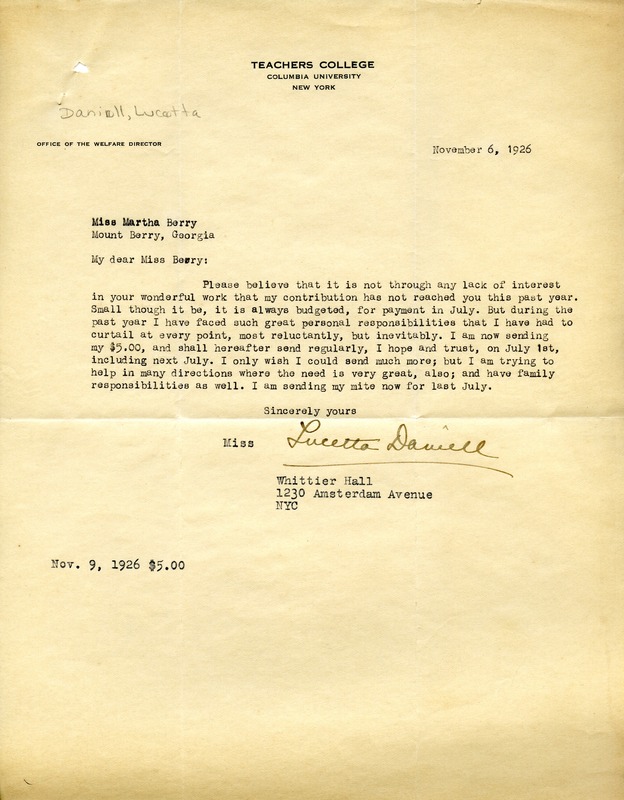 Letter from Lucetta Daniell to inform Martha Berry that her donation of five dollars will come each year on July first from then on. Miss Lucetta Daniell, “Letter to Martha Berry from Lucetta Daniell.” Martha Berry Digital Archive. Eds. Schlitz, Stephanie A., Meg Ratliff, Chelsea Risley, Emilee Sargent, et al. Mount Berry: Berry College, 2011. accessed April 26, 2019, https://mbda.berry.edu/items/show/1365.